HP has expanded the company’s lineup of premium laptops in India by launching the HP Spectre Folio in India, as well as new models of the HP Spectre x360. Both the laptops are powered by 8th Gen Intel processors and are claimed to provide an amalgam of attractive design and powerful hardware. The HP Spectre Folio comes in a single configuration powered by the 8th Gen Intel Core i7 processor, while the HP Spectre is available in two configurations and an equal number of colour options from authorised HP stores across the country. The HP Spectre Folio – claimed to be the world’s first leather convertible PC – features a unique foldable leather profile that surrounds the entire device and also allows it to be used in tablet mode as well. The HP Spectre Folio features a 13.3-inch full-HD (1920 x 1080 pixels) IPS touch-sensitive display with a peak brightness of 400 nits and a layer of Corning Gorilla Glass 4 on top for protection. The premium HP laptop is powered by an 8th Gen Intel Core i7 8500Y processor clocked at 1.5 GHz (turbo frequency of 4.2 GHz). HP claims that the Spectre Folio has one of the smallest motherboards in the industry and has a fan-less internal architecture. There is 16GB of RAM and up to 1TB of PCIe NVMe SSD storage. The HP Spectre Folio has 2 Thunderbolt 3 ports, 1 USB Type-C 3.1 port, an SD card reader, and a 3.5mm headphone/microphone jack. Wireless connectivity is handled by Bluetooth 4.2 and 2×2 Wi-Fi 802.11b/g/n/ac. The device has a hybrid front camera with IR hardware for Windows Hello authentication and runs Windows 10 Pro. The HP Spectre Folio is available in Cognac Brown colour and is priced at 1,99,990. 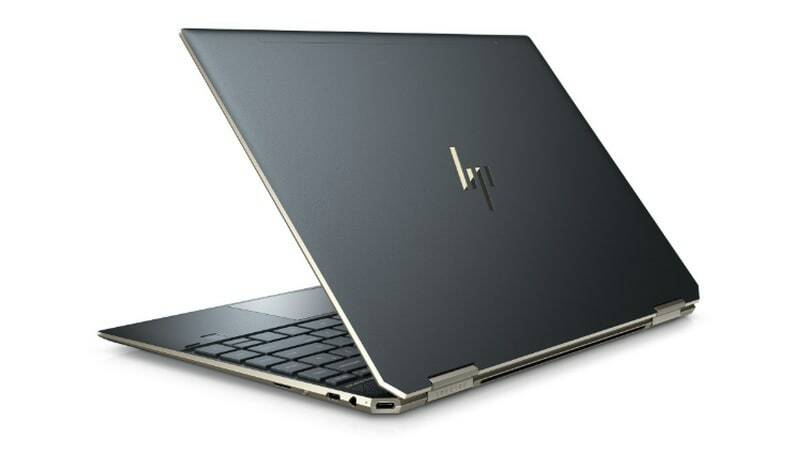 The premium HP offering will be available from HP stores across the country starting today, but there is no word on availability from online stores. The HP Spectre x360 13 is a premium convertible that flaunts a sleek metallic build and has a 360-degree hinge, allowing the device to be used in tablet, tent or laptop mode. HP has launched the Spectre x360 in two variants that differ in the memory configuration and the CPU powering them. The higher-end model is powered by the 8th Gen Intel Core i7-8565U processor paired with 16GB of RAM and 512GB of NVMe PCIe SSD storage. The less-powerful model comes equipped with the 8th Gen Intel Core i5-8265U processor coupled with 8GB of DDR4 RAM and 256GB of NVMe PCIe SSD storage. The model launched in India is a refreshed one, with a new design and internals, compared to the model launched in India in February last year. The new Spectre x360 13 model being launched in India was unveiled globally in October last year.